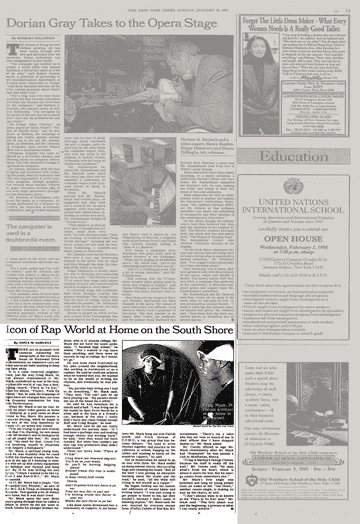 The January 29, 1995 New York Times includes an article by Anita M. Samuels titled "Icon of Rap World at Home on the South Shore." Long Island landmarks name dropped in the piece include: Westwood Drive in Brentwood, where that icon lived at the time; Main Street in Bay Shore, where he played billiards at a pool room; Islip Speedway on Route III, where he'd developed a passion for race-car driving; and the woods by Spur Drive North. It's a failure of this website to have never posted anything about Craig Mack until now. So too was it a failure for me to sell my Project Funk Da World vinyl at a garage sale last summer, though this the lesser mistake, as it accomplished what the site's silence did not. 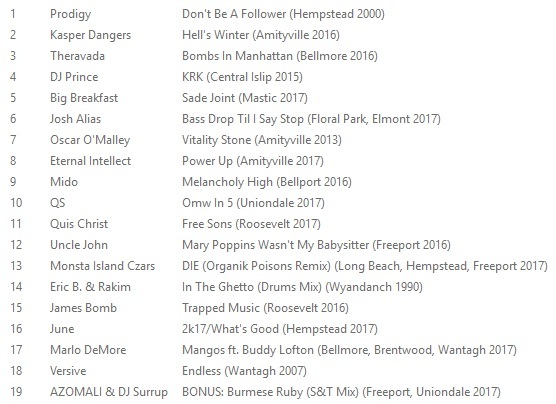 Below, far too belatedly, enjoy some music by Brentwood's own Craig Mack fka MC EZ, along with a documentary by the ever esteemable TRB2HH. Kenny Orlando - "Brown Bag"